Chinese writer Liu Cixin answers questions about China's first sci-fi blockbuster "The Wandering Earth." 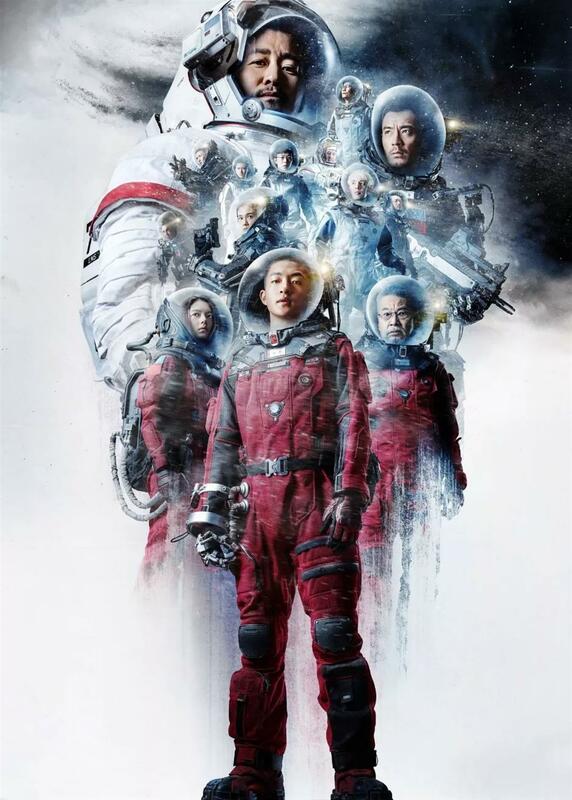 The Chinese sci-fi blockbuster "The Wandering Earth" swept the box office during the Spring Festival holiday. By Tuesday it had raked in more than 2.4 billion yuan (US$350 million) according to box office tracking app Beacon. 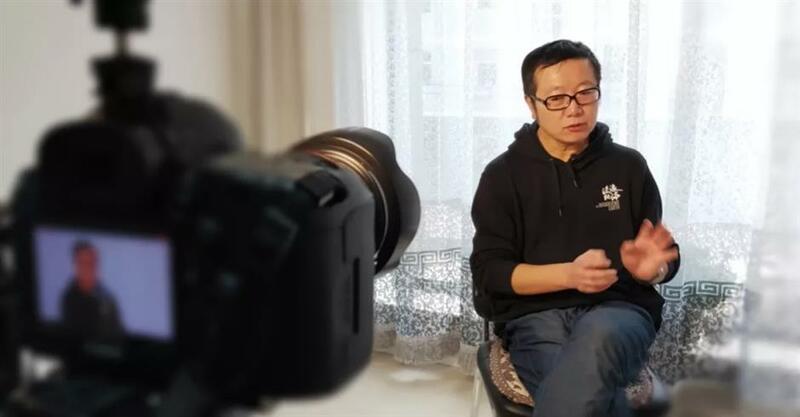 Liu Cixin, the Chinese sci-fi writer who penned the original novel of the same name, sat down for an interview with China Central Television and answered some questions many netizens wanted the answers to. Many people cried when watching the movie. Did you? No. I watched the movie from the angle of a creator, not an ordinary viewer. When I saw some touching parts, I would think more about how to make the effect even better. Generally speaking, we aim to make the plot moving for others. It’s difficult for us to be moved by things we’ve watched many times. Could what happened to our planet in the movie really happen in real life? It definitely won’t in the foreseeable future, because the Sun is still in its main sequence of life, which means it is very stable. Even if some changes happen to it, it will take a very long time, in the very distant future, as far as human beings are concerned. Some netizens think that there are quite a few scientific plots in the film that are hard to believe. What's your opinion? Indeed there are quite a few plots points that don’t make sense. You might like to call them bugs. There were different reasons behind that, such as the restrictions of cinematography or the need for story-telling. For example, you can’t destroy artificial intelligence by simply burning down the surveillance camera. It can be done in a very professional way, like in the movie 2001: A Space Odyssey, where the astronaut reaches the mainboard of the computer and plucks the chips off one by one. But if you let Wu Jing (Chinese actor who stars Liu Peiqiang in The Wandering Earth) do it that way, the movie would become very lengthy. So we try to strike a balance between being entertaining and being scientific. Will The Wandering Earth become a series? You should ask the producer or director instead of me. I’m not the one who makes those decisions. But I think if The Wandering Earth’s box office sales can maintain the current momentum, it definitely could have a second or third part. I hope that all of my works can be adapted into movies. I have no problem with that. But compared to novels, sci-fi movies have many more restrictions. How can the Chinese sci-fi film industry develop into the future? Firstly, they shouldn’t be limited to certain frames. Sci-fi films must be diversified and have a variety of styles. They don't need to be shot with a certain style or follow a certain mode. That would have no future. On top of that, there needs to be a sci-fi movie industry system established. For people who make different special effects such as starry skies or spacecraft, they each have their specific areas of expertise. Such a network must be established. Thirdly, it’s important to have good original content. Original content comes from two aspects: On the one hand, we need good and influential sci-fi works, which are in short supply right now. In addition, compared with the adaptation of literary works, it is more suitable for sci-fi films to be produced originally. We have a large number of scriptwriters in other fields, but few in the sci-fi genre, so we must cultivate a batch of high level sci-fi writers. No one can predict the future, but a broken watch is still correct twice a day. Can sci-fi writers predict future worlds? No, it would be impossible to describe the future. Not just me, but everyone. It’s even difficult to describe what the world could be after 100 years. So we who write sci-fi stories are not predicting, we just list out all kinds of possibilities. It’s impossible for us to write all of them, just the most interesting and stunning things. I always share an example that a broken watch is still correct twice a day. Similarly, if you list out enough possibilities, there must be several that come true. But they're not predicted, because sci-fi writers have no magic powers. What’s the biggest setback you have encountered in your work? The biggest setback I’ve encountered during the process is creativity. It can’t be said that my creativity is exhausted, but it’s hard for me to come up with ideas that make me excited. People may have some misunderstanding about it. I never expect that the new work I write must better the former one. I’ve said that the creation of a work mostly depends on opportunity, which is very elusive. What boosts me to continue writing a story, especially a long novel, are my excited ideas. If I'm not excited, you can’t expect the readers to be excited. That’ the biggest problem I’ve met. What’s the most powerful feeling in China now? Its sense of future. The director of The Wandering Earth repeatedly stressed that the whole country is in a modern state of rapid rise, which provides fertile soil for sci-fi literature and film. What’s the most powerful feeling in China now? Its sense of future. There is no place in the world that has such a powerful sense of future than China. A prosperous nation can produce prosperous literature. I’m not sure if that's accurate in other genres of literature, but it’s really accurate for sci-fi. Sci-fi literature can’t develop well in a backward and poor place that has a slow pace of development. No matter how outstanding and creative the writer is, he couldn’t be recognized in such a place. That is a feature of sci-fi literature. Do you think you are lucky to have been born in this era? An American writer once told me that the post-60s generation in China is the luckiest as no other people in human history viewed the world around them changing so dramatically. I deeply agree with him. The world of my childhood compared to now is completely different. For a sci-fi writer, that's really lucky. I’m a creature of the era. If I were born in any other time, I may not have become a sci-fi writer.